Our programs and projects earn local and regional news coverage. Below are some of our most recent stories. 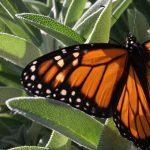 Dozens of newly emerged butterflies will set out on their life’s journey at the annual Music and Monarchs Butterfly Release Party on Sept. 9 in Cowiche. 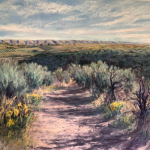 Inspired by the landscape of the Cowiche Canyon and other areas of the shrub-steppe managed by the Cowiche Canyon Conservancy, local artists have created their own visual interpretations that will be on display at the BOXX Gallery in Tieton beginning Saturday. 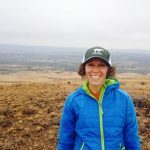 Celisa Hopkins, who joined Cowiche Canyon Conservancy in 2014 as its development director, has been appointed executive director.